. . . Rose & Crown A typical British pub and restaurant and guest house in Chaweng. 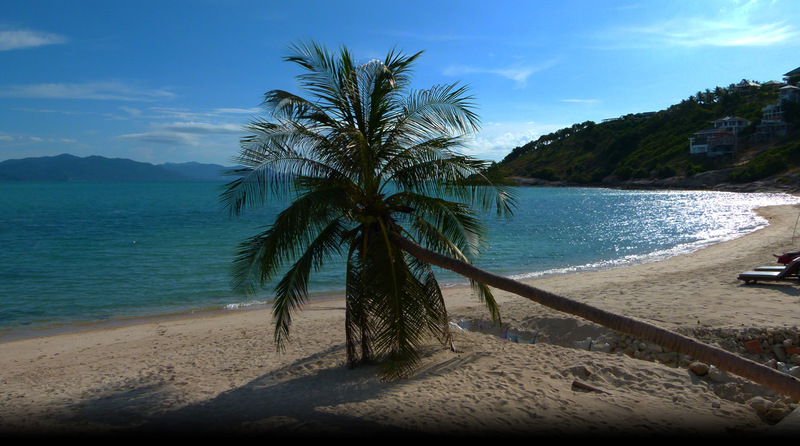 The honeymoon island of Koh Samui is in the west of the gulf of Thailand. With a 50 minutes flight from Bangkok you land at the very homely and friendly airport of Koh Samui at Chaweng. Arrival - Check in - and Baggage recovery is so much easier than most airports around the world. A taxi at the airport will deliver you to beach road south and the "Rose and Crown" in about 20 minutes . . . depending on traffic. The Pub has a very friendly, comfortable feeling about it. Where you can relax and enjoy cold drinks and good food at reasonable prices served by our excellent Thai staff. We have a 60 seater restaurant split over four sections. Sunday roast's ** B-B-Q's ** home made pie's. Rose and Crown Guest House Contact us for a clean and comfortable budget rooms and enjoy yourself spending the savings on the room on other things. The Pub is run by Peter Wilson. A Londoner by birth plus a very good team of Thai staff. All of which speak English (Some more than other's). We are 100 yards from the beach. A Songtel ride to the center of town or walk if you prefer. The Pub and Guest house was opened in February 2006. Now called the Rose and Crown it has a very British name and a selection of typical British foods cooked on the premises. Cornish pasties***Cottage pie*** Steak pie's***, Fish & chips and much more. Plus a variety of foods, not English but favorites of the world. The menu is designed to give a good choice for all tastes. Our Thai food will compete with any on the island. The Pub is open frontage allowing you to drink, eat and smoke (If you so wish) and watch Thailand life whilst eating excellent food. Rose and Crown A typical British pub and restaurant and guest house in Chaweng.